Visit our Job Stories page for more unique automation solutions and applications! A Macron integrator partner had to provide a large scale cartesian gantry system with X-axis travel of 44 feet and Y-axis travel of 21 feet with a heavy payload capacity of 330 pounds. Whereas there was some deflection allowance in the Y-axis, the design would not allow the use of steel to cover the span. Due to overall system height constraints, creating an aluminum truss work to accommodate the span was a problem. To meet the requirements of this motion challenge, Macron Dynamics engineers designed a hybrid actuator. 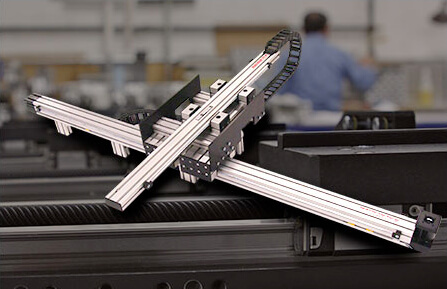 To keep the axis weight down and strength and stiffness up; a pultruded structural shape was wrapped with Macron slide assemblies (a custom MacBUILT product), while an MSA-SB2 belt driven actuator provided the driving force. 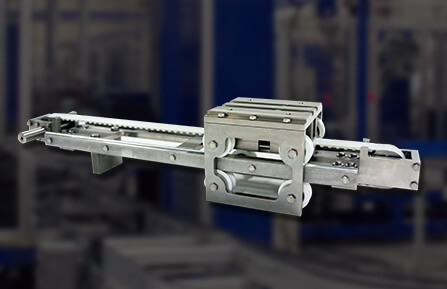 A wrap around MacFRAME cart element tied all the actuators together and allowed flexible mounting of a special payload handling system, designed by the integrator. 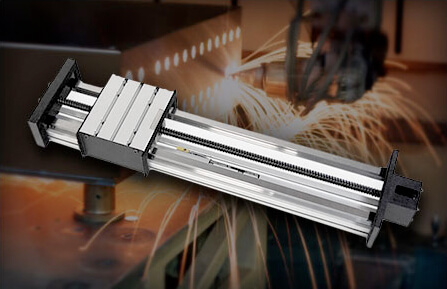 Learn more about this large scale cartesian gantry story.